Head over the http://ministry-to-children.com to vote for Sojourn Kids right now! We're the #12 seed in the West Regional. First round upset, baby! 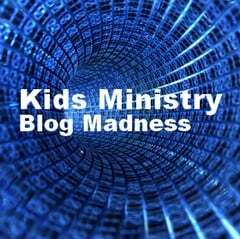 My friend Tony Kummer at Ministry-to-children.com is doing a children's ministry blog madness competition. The SojournKids blog is in the running for the West division. Show your support for SojournKids by heading over there to vote! Also, take time to check out the thoughts of some other great children's and family ministers out there. Some of my favorites in the tournament are Lisle Drury & Doug Wolter, Kenny Conley, and Sam Luce.